I’ve been a lifestyle/fashion and commercial photographer my whole career, working with National and international clients, my job requires that the shoots I photograph or video, are planned out, stay in budget and are delivered on or before a deadline. But I’ve always enjoyed spontaneously capturing a moment, whether it’s an off guard moment on set, people on the street in another country or during a sporting event, such as football or volleyball. 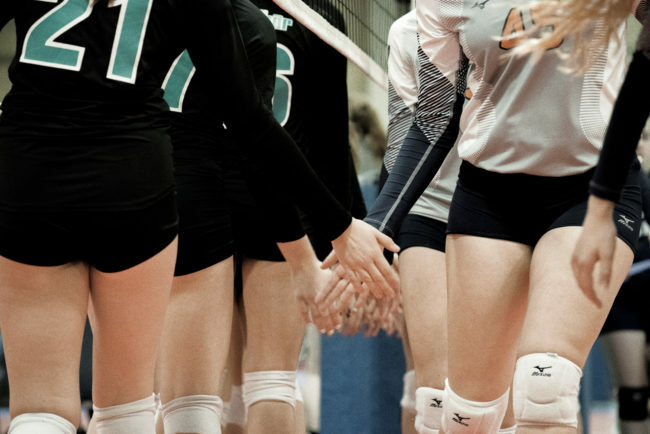 So when my daughters began playing volleyball, I started bringing my camera to all of their matches. At first it was just shooting my daughter when she hit, dug a ball or blocked. After a while those images all started to feel similar, just a different location or color of uniform. Then I started to shoot what was happening off the court and the moments between plays. I also started to experiment with shooting different angles while they were playing and using different focal lengths. 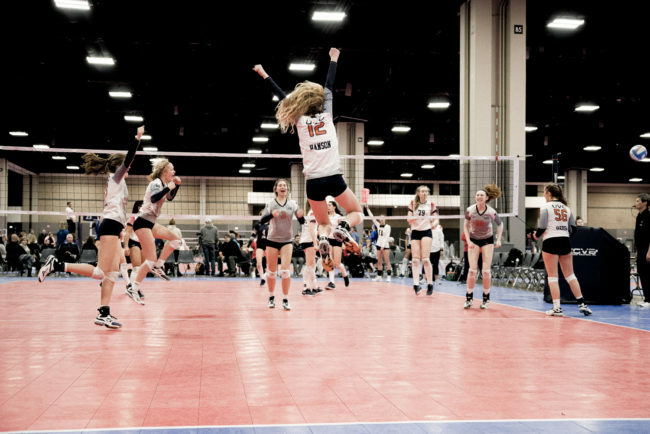 I became obsessed with getting different images, getting that exact moment of the block at the net, or the celebration of the team when they got a huge win. 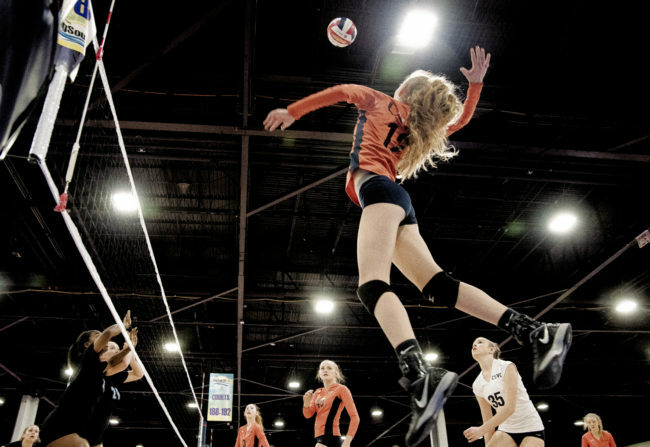 I spent three years shooting my daughters and their teammates at every tournament. Always looking for those shots I wanted but hadn’t had the opportunity to capture just yet. In my work with commercial and fashion clients, I can always control the images and direct the models so I can get the shot I want or the images my clients need, but you can’t stop a volleyball match, go out onto the court and ask the teams to do that again. 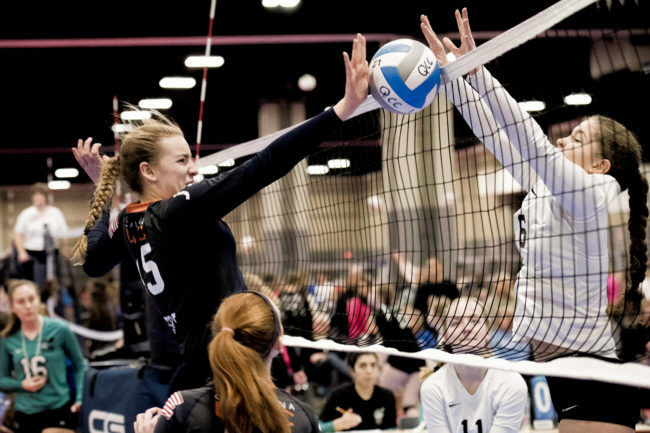 A block at the net or a massive dig from the back row happen in a fraction of a second, so I have to be able to anticipate what the players are going to do and exactly when things are going to happen, but that’s all part of what makes it fun, that’s the challenge! My youngest daughter still plays volleyball, so once again, this season; I’ll have my camera with me. I may not be as obsessed with taking pictures of everything that goes on this year, but I know I’ll always be looking for the next shot that will be different or more amazing than anything I’ve shot before. That’s what keeps it fun, and it helps keep me from stressing during those tight matches where they might lose.